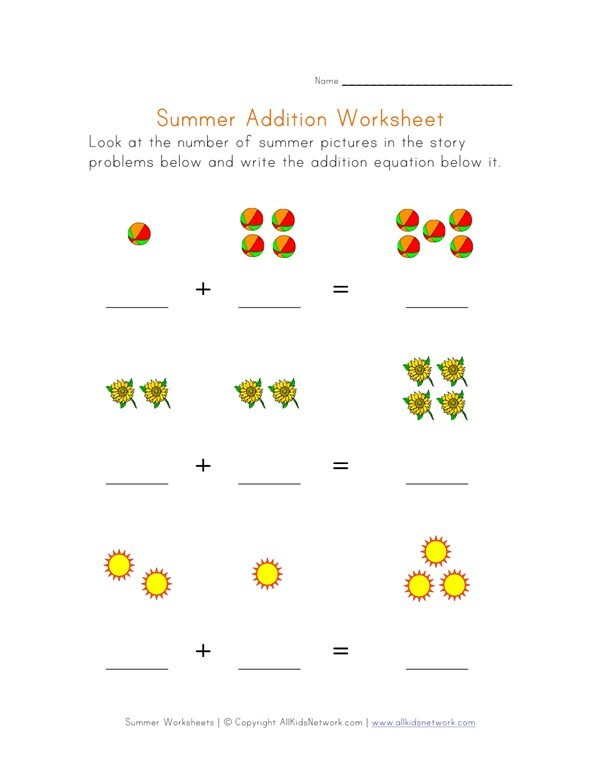 Help kids practice their math skills with this printable summer addition worksheet. This is a great worksheet to do during the summer season and kids that are just starting to learn basic math are the perfect audience for this worksheet. 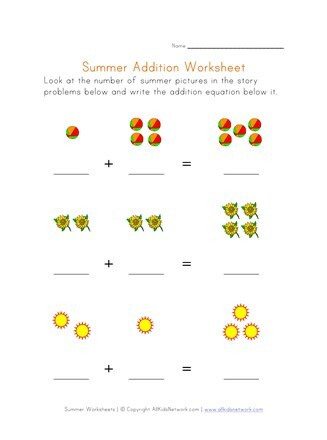 Kids are asked to count the summer images and write the correct number on the lines to form the basic addition equations and then to write the number that is the sum of the first two on the last line. check out the rest of our summer worksheets as well as our section of summer crafts for kids.